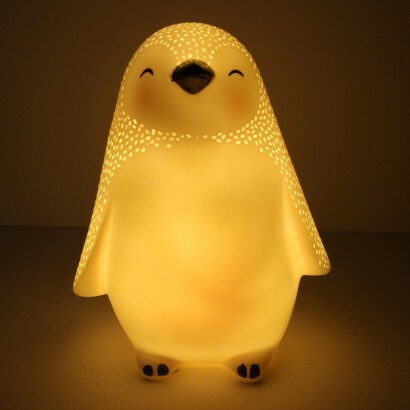 Brand new from the House of Disaster's Over the Moon range, this adorable little penguin lamp is lit by warm white LEDs to cast a soft comforting glow. 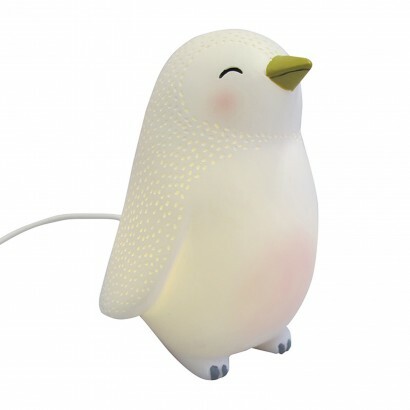 Neutral white with a soft blush to it's cheeks and tummy, this cute penguin is ideal for use in children's rooms or nurseries to shine with reassuring light at night. 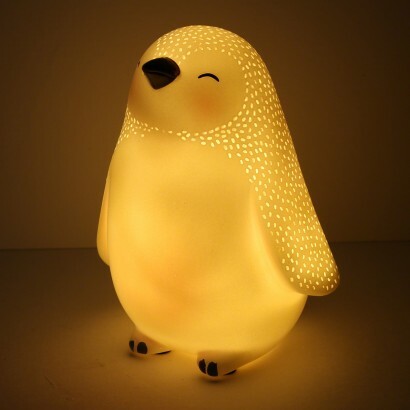 Standing at just 11.5cm tall, this sweet LED lamp is just the right size for small hands and because it's lit by LEDs, it remains cool to the touch. 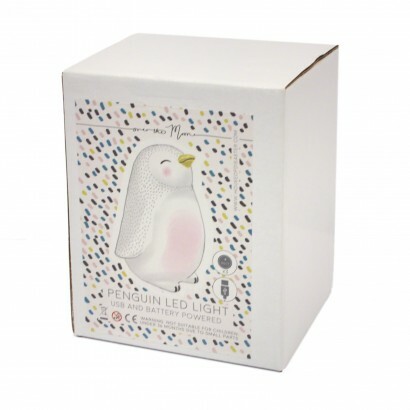 Battery operated with batteries included, there's also a USB lead included so that you can power from the mains should you wish to leave this friendly penguin shining for longer periods of time.